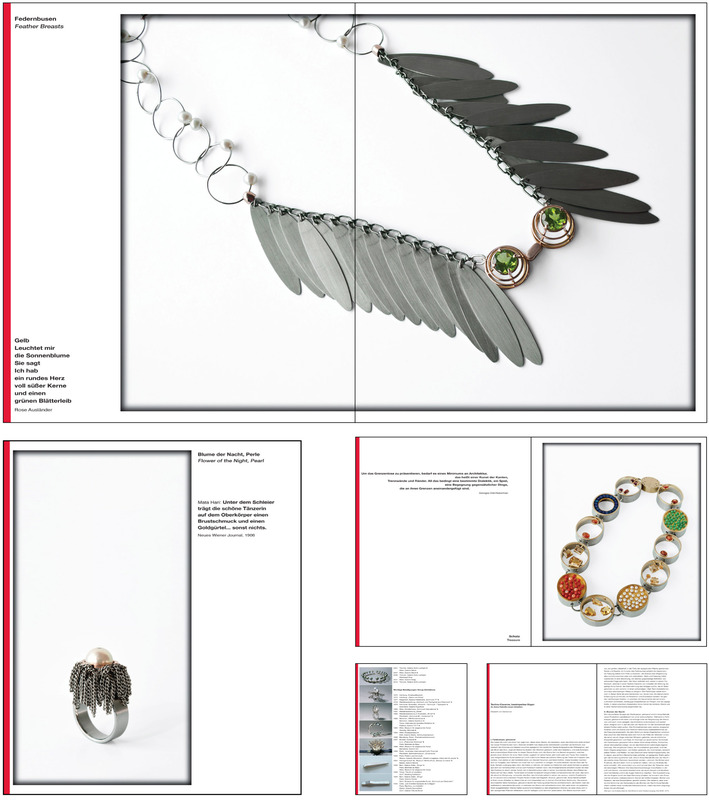 Exhibition catalogue for a jewellery designer. The theme of the edition was BODIES OF COLOUR, gleaming – FLOWERS of the Night. In the catalogue Anna Heindls work is accompanied by small texts and poems, Elisabeth von Samsonow also contributed a small fine essay.